Claude Surmont at Courage Competition is naturally reluctant to divulge any details at this stage, but he has confirmed to dsc that the Le Mans-based manufacturer is in discussions with different teams in the US and Canada, regarding the possibility of new Courage P1 entries for the ALMS for 2007, and the evaluation of a new P1 engine. 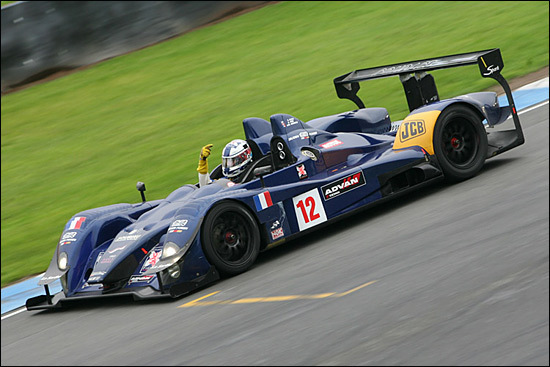 Claude Surmont also confirms that he is in discussion with “existing and new teams” concerning the company’s LC75 LMP2 car for 2007. He believes that endurance prototype racing is becoming increasingly popular, and we couldn’t disagree with that assessment. Finally for now, the second Acura chassis left the factory today, heading for North America. This is Gregor Fisken, at Donington Park.